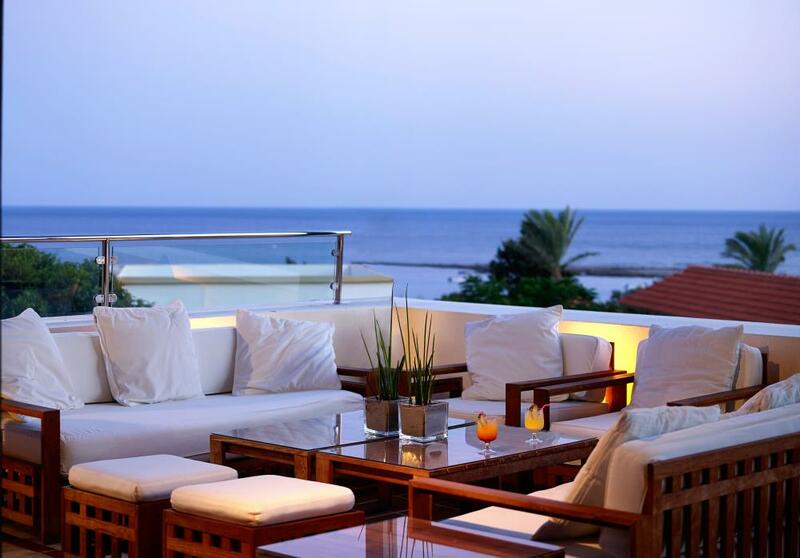 Mitsis Rodos Maris Resort & Spa is a unique hotel, located at the southeast coast of Rhodes island. Its elegant rooms and bungalows are ideal for couples and families who seek after high quality accommodation in a quiet place. 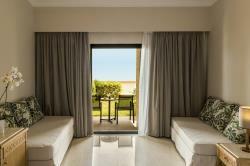 The air-conditioned rooms at the Mitsis Rodos Maris Hotel are decorated in a modern Mediterranean style. Each room has a satellite TV and a balcony or terrace. There is free Wi-Fi at the hotel lobby and at the on-site internet café. Dining options include a buffet restaurant with outdoor terrace, Greek restaurant and Chinese restaurant. Snacks and ice cream can be enjoyed at the Gelateria and beach bar, while biscuits and pastries are available from the coffee shop. A fitness room, indoor pool, sauna and massage rooms, and a beauty salon are featured at the spa. Parasols and sun beds are available around the pools and on the beach. The Mitsis Rodos resort is 15km from Lindos, 60km from Rhodes Town and 55km from Rhodes Airport (RHO). Reception is available 24-7 and will be happy to assist you with tours, car hire, transfers and more. 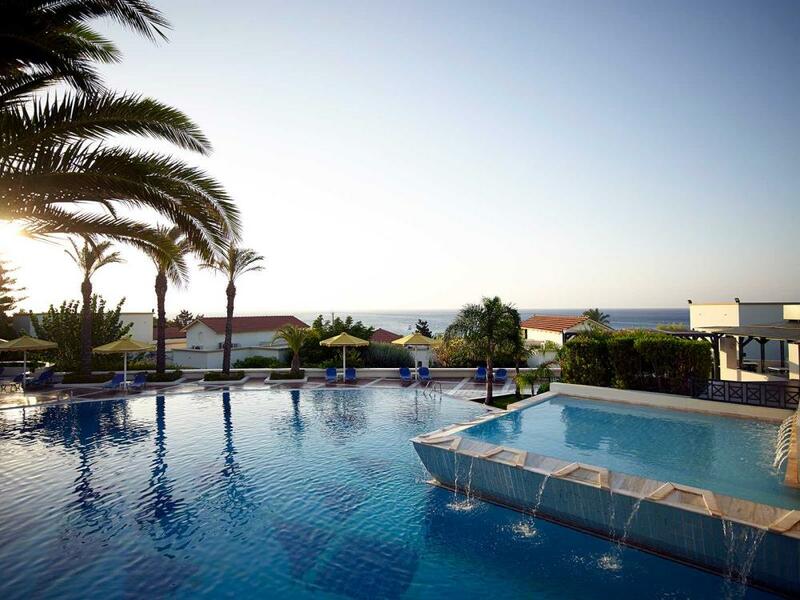 A variety of resort facilities for all the family are available at the Rodos Maris Resort & Spa. Built with families in mind, it offers a range of free sports and recreational facilities within the hotel grounds. The Rodos Maris Resort & Spa welcomes families with a dedicated Kids and teens daily activities programme offering imaginative activities for kids of all ages. Crafts, plays, and countless other activities guarantee that kids will enjoy their vacation as much as their parents. Children facilities include a children pool and playgrounds, a water slide, the mini club for children 4 to 12 years old and the junior club for teens 12 to 16 years old. 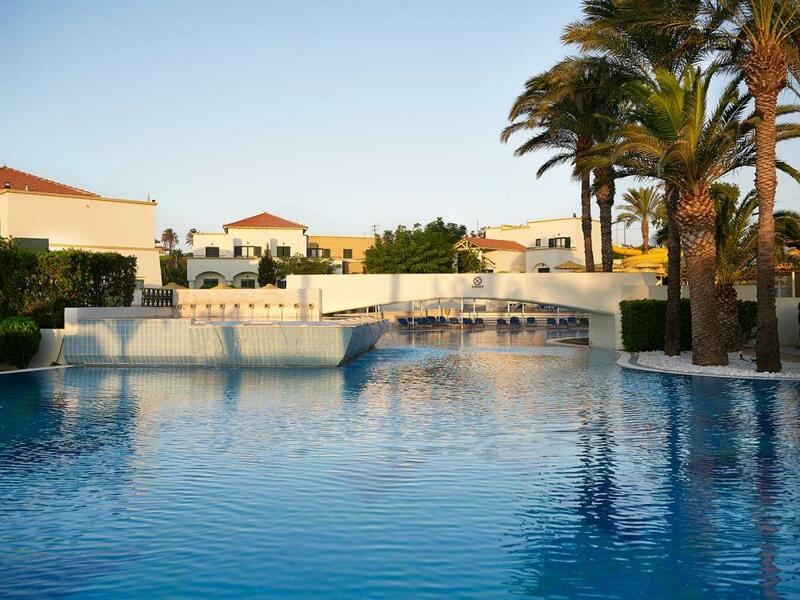 Rodos Maris Resort & Spa offers an array of accommodation choices to cater to the needs of families and couples alike. Whether in the main building or in the profuse gardens, all 432 rooms, bungalows and suites are carefully appointed and offer all the comforts of a 5-star resort. All rooms, completely renovated in 2010, are decorated in contemporary style, with warm gentle colors and wooden furniture, and provide all modern amenities to make your stay as pleasant as possible. The main restaurant, which is completely renovated, offers local and international cuisine, which you can enjoy either indoors or al fresco. Every evening, guests have the opportunity to taste different types of specialties, from Greek, Chinese, Mexican or Italian to fish specialties, etc. The following drinks are inclusive: local wines (red, white and rose), beer, juices, and soft drinks. Note: Guests are required to be decently dressed in all hotel departments in the evening. A gastronomic journey around the Mediterranean Sea. Reserve your table and enjoy specialties from 8 different cuisines. The flavor of the Greek Gastronomy on your dish. 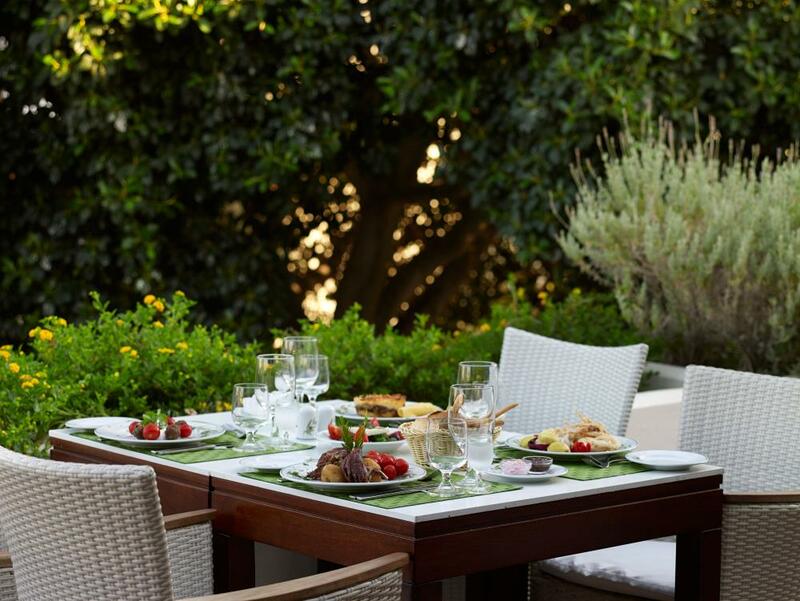 Taste the Greek traditional food in a nice garden. Table reservation required one day in advance. An Asian trip with Exotic Dishes cooked from the specialists. Please reserve your table and let your senses explore the Asian cooking spirit. This à la carte daytime restaurant offers Original American burgers, club sandwiches, and delicious specialties. Reserve you Lunch and explore a cuisine of another continent. Delicious sweet and savory crepes along with a variety of delicacies. Entertainment day and night by multilingual animation teams -for sports activities, events and kids and, Greek theme nights with live music. Local community events support, Professional DJ regularly on the decks and, Special events organized regularly.